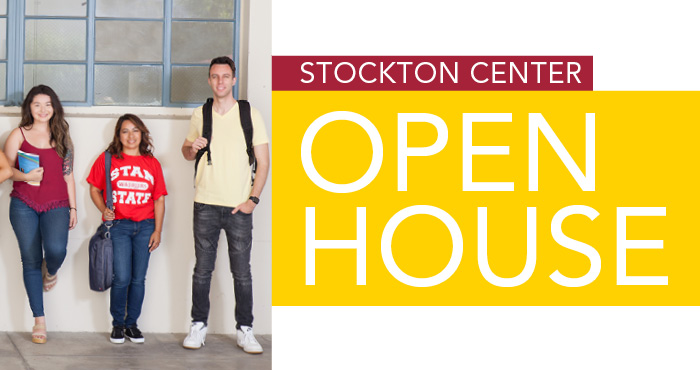 ​Learn more about the Stanislaus State Stockton Campus and available academic programs at one of our Open Houses. Meet faculty representatives, as well as representatives from financial aid, admissions, academic advising and more. Our open house will be located at the historic Acacia Court building in University Park at 612 East Magnolia Street, Stockton. BONUS: Interested in Financial Aid? Or have questions about the university financial aid process? A representative from the Financial Aid & Scholarship Office will be hosting a pre-Open House Financial Aid workshop from 5:00 PM - 6:00 PM prior to each event. *Pre-registration closes at 5:00 pm the night before. Onsite registration and walk-ins welcomed.